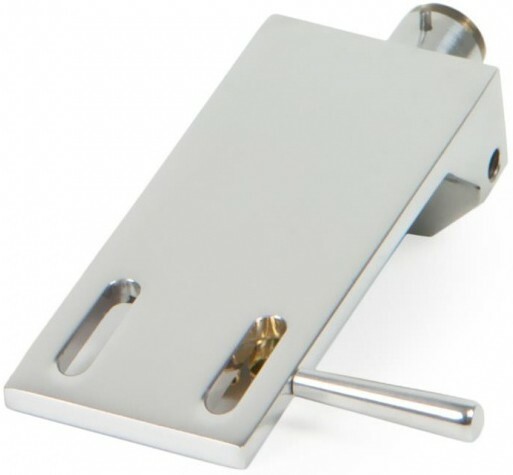 This sturdy aluminium headshell fits all tonearms with SME mounting standard and has a 0.5" cartridge mount. Also available in a choice of carbon or Oak. Pro-Ject Aluminium Signature Headshell is supplied as standard with their Signature range of turntables and tonearms. The high gloss aluminium version is more heavy weight than its carbon and oak counterparts making it ideal for use with high-end cartridges. This headshell has been developed in a choice of 3 different materials (aluminium, carbon and oak wood). Each material has its own sound character so try it to find the best match for you. Additionally, this allows you to build up a cartridge collection with different types of phono cartridges so you can select your favorite for different types of music or records to maximise your sound quality. The different mass of the Headshells also enables you to get the correct weight of your cartridge/headshell combination, which fits perfect to your arm! It comes with a set of alien type screws in different length as well as all necessary tools. They all come in a nice wooden collector box.